I have recently started making my own homemade vegetable broth for a few reasons. First, most commercial vegetable broths are laden with MSG and other scary additives. The only decent brand I have found was Pacific Organic. You can read more about my comparisons of soup broth here. 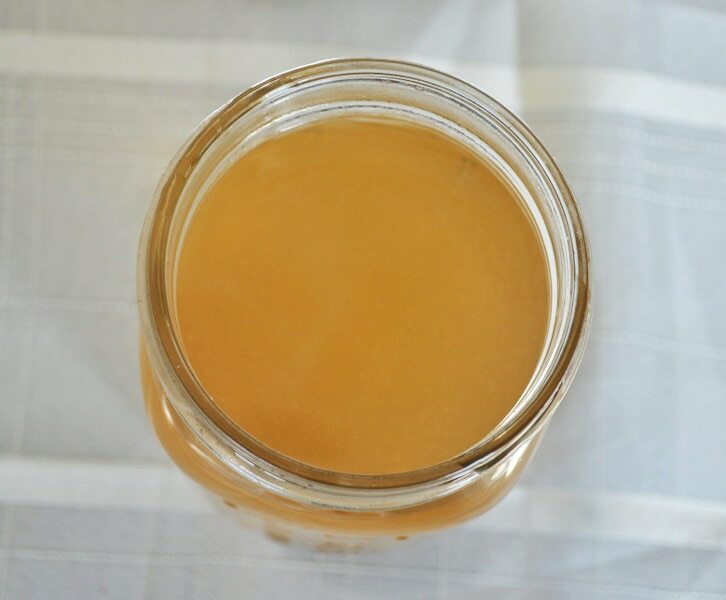 Making your own homemade vegetable broth is easier than you would think. The best part? Homemade vegetable broth costs nothing because you use all the veggie odds and ends that you would normally throw away. This is the bag I keep in the freezer. I just throw all kinds of veggie scraps in there and wait until I get a decent amount. 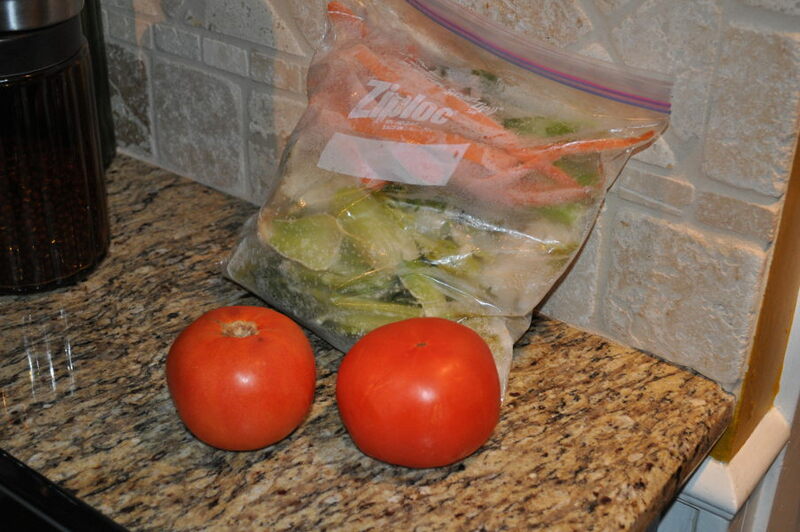 The tomatoes I had in my fridge, but they were almost on their way out, so I threw them in as well. There really isn't a recipe, per say. Just a method. You can throw in any combination of vegetables and it will work. In this case, I had cabbage, tomatoes, celery, green onions, garlic and broccoli. I also threw in some sea salt and a bay leaf for extra flavor. I threw everything in a pot and filled with water. On the stove, I brought it to a boil and then turned down to low, covered it and let it simmer for 6 hours. 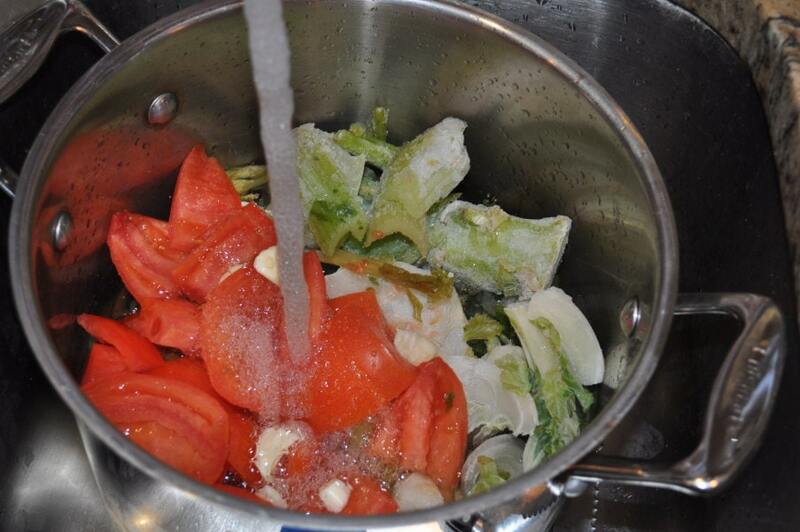 Most of the veggies break down in the long cooking process. When it’s done, strain it into a bowl. If you like a chunky broth, you can puree what is left of the veggies and throw them back in. I strained mine and this is what I had at the end. I made about 10-12 cups of broth. About enough for 3 large soups. I just store it in the freezer in serving size containers so I just pull out what I need. That’s it. Super easy.